It’s January, and for many of us that means detoxing, cleansing, or just plain consuming lighter and liver-friendly foods to reset after holiday indulgences. 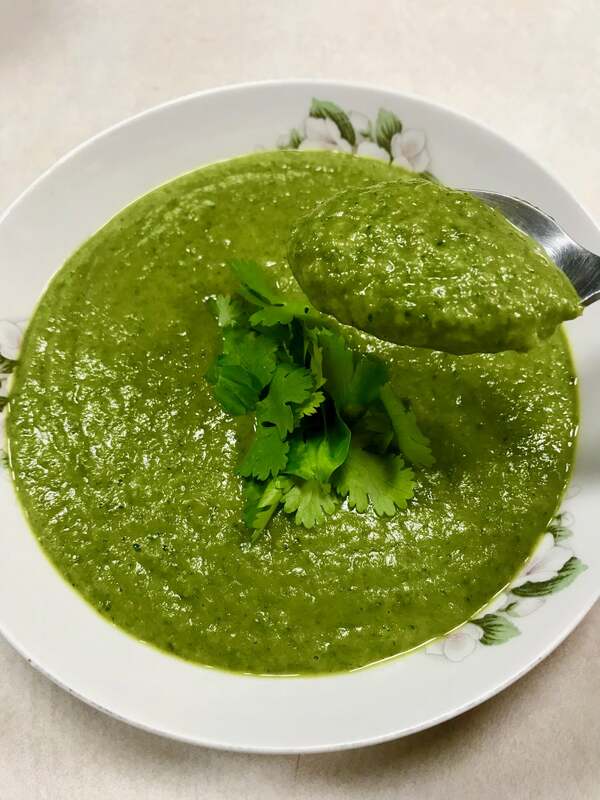 I have been craving a delicious and vibrant green soup this week, AND I needed to rid the fridge of various bunches and half bunches of leftover veggies. So the stars aligned, and I created this recipe with what I had on hand. 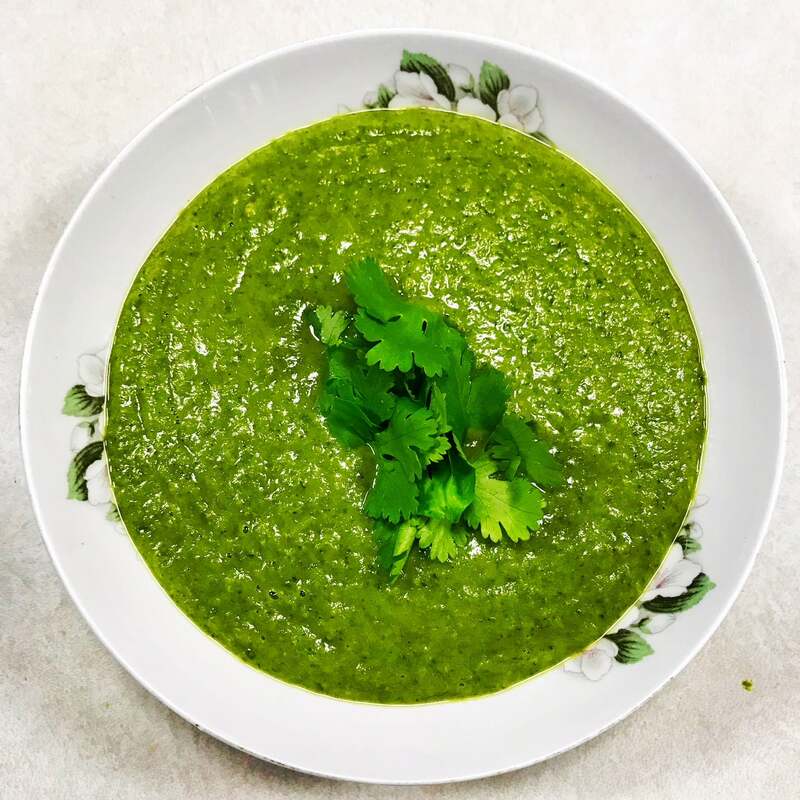 Green soups are probably a dime a dozen, but they’re mostly green things only. I threw sweet potato in this recipe because I had two half sweet potatoes lying around that needed to be used, and it gives the soup a heartier and creamier texture while adding additional nutrients like fiber and beta-carotene. Win-win. This recipe is really just a blueprint, so you can get creative and add as many veggie varieties as you like. You could even try adding avocado to make it creamy, but I haven’t tried that yet. Or you can just keep it super minimal and only use the alliums with sweet potato, broccoli, and spinach. I used my favorite spice blend (you can get it at Trader Joe’s or Costco) and it worked beautifully with this soup. But you could also do curry powder or any other herbs/spices that appeal to you. 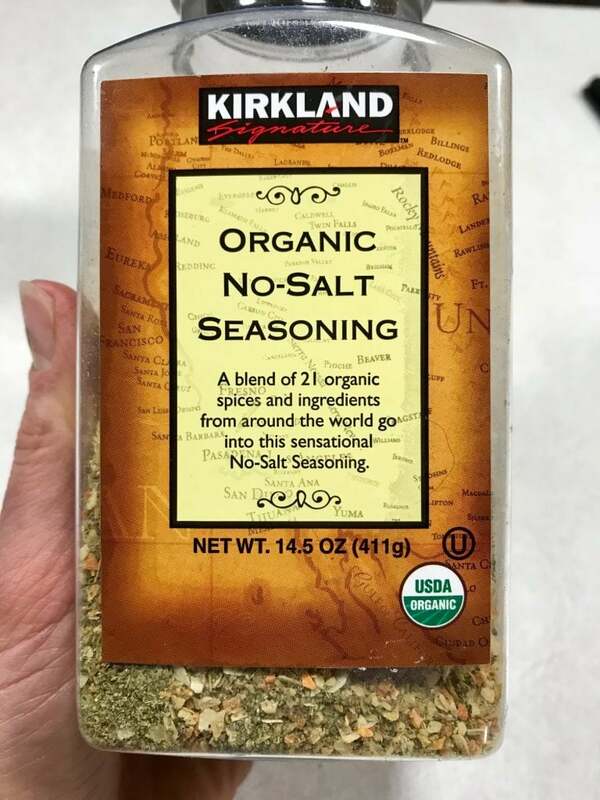 Favorite spice blend available at Costco or Trader Joe’s (which is called 21 Seasoning Salute). Works perfectly in this soup and great for seasoning meats and roasted veggies. I used bone broth as a base for this soup, but you could use vegetable broth to make it vegan, or you can use boxed chicken stock or broth. This soup is so nutrient dense and delicious. Greens are great sources of antioxidants, iron, and minerals, and the hefty dose of garlic is great for immune and detox support. This soup is your liver’s best friend: Aside from the greens, the broccoli is also a superior sulfur-rich detoxifier, AND it helps rid the body of excess estrogens. 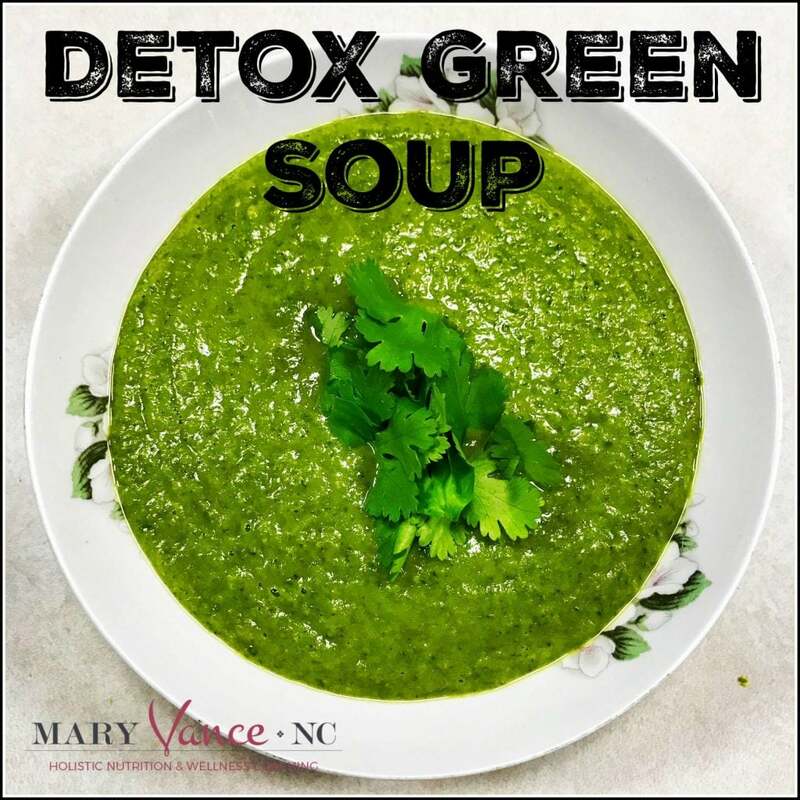 This soup will give you energy, help get you regular if the holidays have you a bit plugged up, AND flood your body with nutrients to support detox, skin health, and fight inflammation. A true superfood recipe! Vibrant green and packed with nourishing veggies. I am a fierce lover of cilantro, but you could top with or add tarragon, fried sage, parsley, or even add basil if it’s summertime. A vibrant and delicious combo of greens, herbs, spices, and sweet potato. You'll need a dutch oven and a skillet. First off, chop and prep all your veggies. Bring 4 cups of broth to boil in dutch oven or large pot. While you're waiting for that to boil, add olive oil to skillet over medium heat, and when it shimmers, add sliced leek. Let that soften for about 10 minutes. Add broth as necessary to prevent sticking. Add garlic and cook an additional 5 minutes or so until slightly caramelized and softened. Meanwhile while you're tending to the leek mixture, keep an eye on the broth and add sweet potato chunks as soon as it's boiling. Boil til soft but not too soft, about 10-15 minutes. Add kale and broccoli to the pot and let that soften, about 3-5 additional minutes. Finally, add spinach and any other veggies to the mix and let it wilt. Add the leeks and garlic back to the big pot and give it a good stir. Add more broth if you like a thinner soup. I like mine thick. Add a hearty pinch of sea salt, the tamari, and any dry spices you are using. Remove from heat and use the immersion blender to puree til very smooth. Or you can work in batches and do it in the blender. Taste to correct seasonings. You'll probably need to add more salt and a touch of cayenne. Top with fresh green herbs. Greek or coconut yogurt would be great on top too.